NEW YORK -- Coming soon to McDonald's: Fresh beef. The fast food giant said Thursday that it will swap frozen beef patties for fresh ones in its Quarter Pounder burgers by sometime next year at most of its U.S. locations. It's a major change for McDonald's, which has relied on frozen beef for more than 40 years. Employees will cook up the never-frozen beef on a grill when burgers are ordered. Fresh beef has been the biggest selling point at rival Wendy's. Yet there are larger forces at work that have prompted other menu changes at McDonald's, known for decades more for the billions of people that it has served, rather than its culinary choices. The world's largest hamburger chain for some time has been attempting to improve its image as more people shun processed foods. It has tinkered with its recipes, removing artificial preservatives from chicken McNuggets and eliminating high-fructose corn syrup from its buns. Big Macs and hamburgers will still be made with frozen beef. Kempczinski said the company is open to making changes to its other menu items. It's still too early to know if franchisees will raise their prices on Quarter Pounders, Kempczinski said. Employees will need to be trained to handle fresh beef safely and to cook the patties only when ordered. 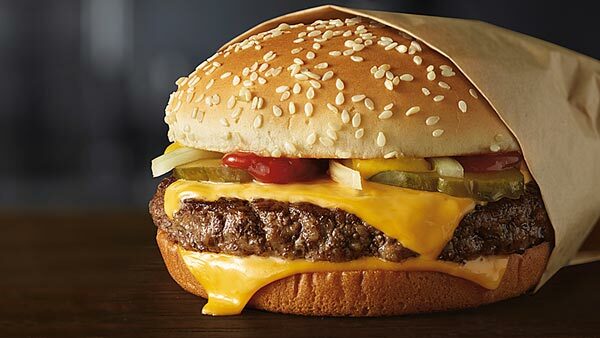 Frozen beef Quarter Pounder patties are typically cooked four or more at a time, and the burgers are left in a holding area until a customer orders it, Kempczinski said.